Adele is not only the hottest property in music right now, with her stunning back catalogue, and latest song 'Hello'... she's also really bloody funny! 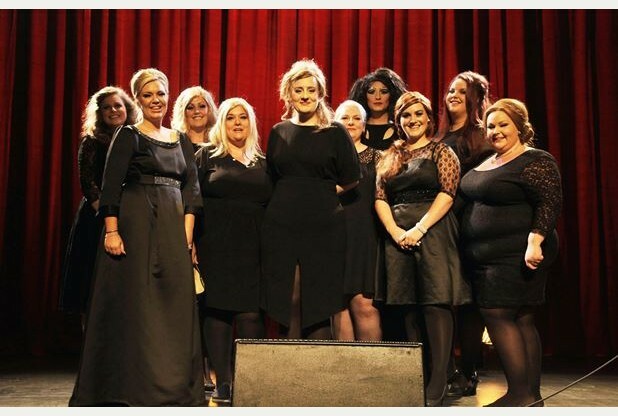 Here she is a clip which has surfaced overnight, with TV host Graham Norton, surprising a group of impersonators auditioning to be Adele. With a prosthetic nose and chin, plus a pair of gloves ("''cause of all my tattoos! "), Adele joined her imitators at the song try-outs, even mingling with the group ("She's taken her time," she says of her own new album... so good!) before she takes to the stage to blows them away, bringing them to emotional tears.